To provide impactful advising, learning resources and development tools that allow students and alumni to plan, manage and achieve their professional goals. To position IE students and alumni in the corporate community, while providing recruitment solutions for the companies that are seeking top talent. 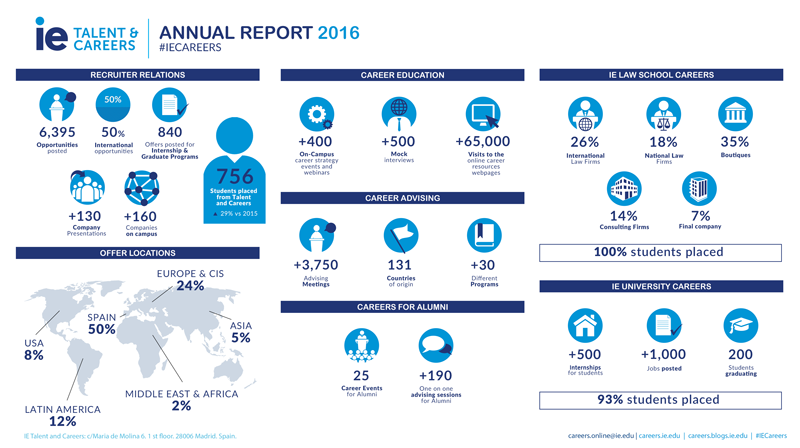 The following Annual Report summarizes the department’s efforts to achieve this commitment in 2016.